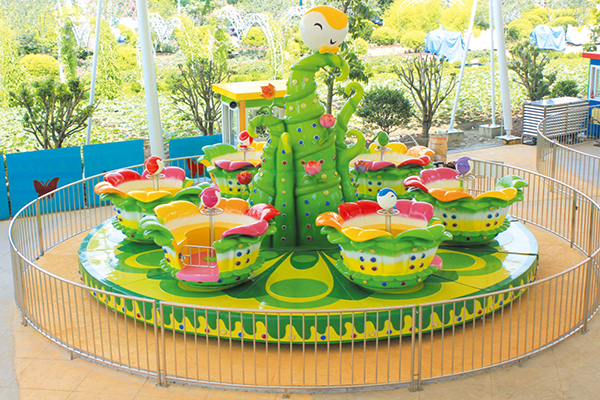 Turn Rround Dish rides is a new hot kids and adult rides equipment in park and playground, and it includes under base, transmission system, cups and coffeepot. When the motor start to turn, the coffee cups will follow running with the base's turning circle, and kids or adult sit in the cups, they also can operate the turning direction(360°) of cup. So it is very fun and exciting for passenger.